What was achieved was a perfect synthesis of the unmistakable notes of peat, smoke and sea air found in Islay malts and the smoother, sweeter hints of Speyside malts. The quality of Islay Mist has been recognized by the world’s most famous whisky connoisseurs, including in the 2008 World Whiskies Awards. 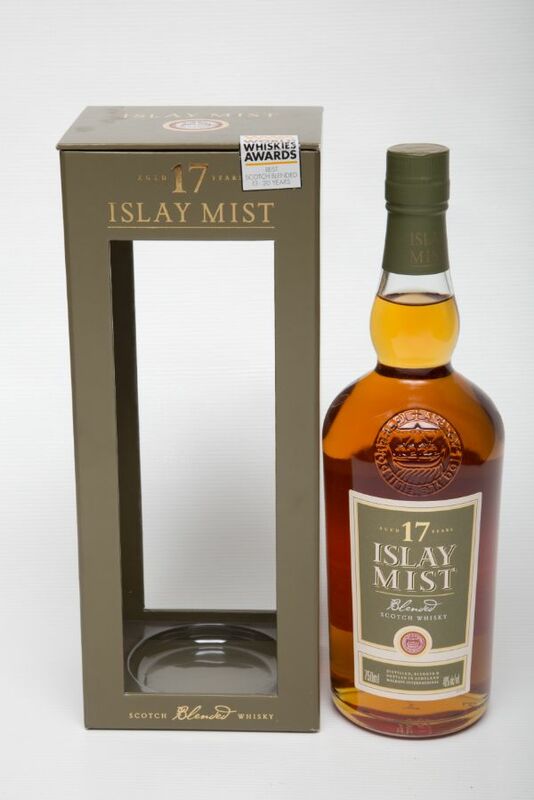 Islay Mist is available in 4 expressions: Peated Reserve, 8 Year Old, 12 Year Old and 17 Year Old. Islay Mist 12 Year Old and 17 Year Old are at the very pinnacle of blended scotches. They both have an unrivalled complexity and depth, the perfect balance between the smoky, peaty, salty Islay malt and the sweet, nutty Speyside and Highland whiskies. If you think that blended scotch is boring and jaded or that a blend is always inferior to malt whisky you have never tried Islay Mist!